This paper describes the most recent IRPET methodology for building a NUTS2 level multiregional Supply and Use Table (henceforth MRSUT), for the benchmark year 2011. This new approach upgrades what is presented in Cherubini and Panicci`a (2013), through a more intensive use of regional data, recently released by ISTAT, and the breakdown of the multiregional and foreign trade in final and intermediate flows. In Figure 1 the assembly line of MRSUT. The structure of the paper is the following: section 1 illustrates the balancing algorithm, section 2 shows how initial estimates have been produced. In section 3 the system of balancing identities is presented along with the main numerical indexes of the balancing algorithm. 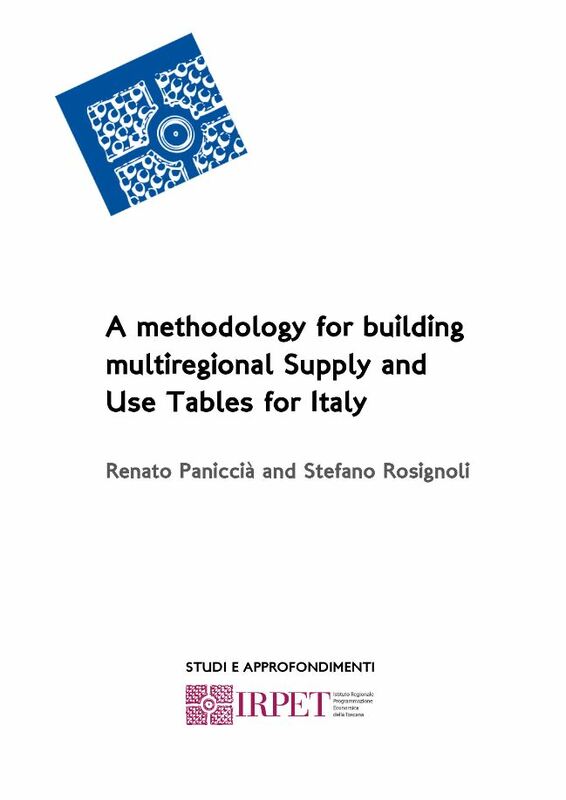 Allegati: Scarica "A methodology for building multiregional Supply and Use Tables for Italy"